There are many features that can be included as part of a comprehensive motor vehicle insurance policy, and ascertaining which ones you need can feel like a minefield. Every broker offers different levels of cover, so is it advisable to arm yourself with the knowledge you need to make the right choice for you. These features would not be available on a Third Party only policy, as they only provide cover for the other vehicles involved in an incident, and not your own. Many of these features are included in a range of different types of business, motoring or lifestyle-related insurances, including: motor trade; motor fleet; courier; taxi, imported car; classic car; motorhome; and caravan insurances. This feature will pay out a lump sum based on the agreed value of your vehicle in the event it is written off or stolen. It can differ from what you paid it, due to a number of factors affecting value such as age, mileage, engine size and rate of depreciation. There are a number of resources you can use to determine the value of your vehicle, but the Kelley Blue Book is the most widely accepted. If you are looking for a higher agreed value, you will have to pay more on your policy. Covering the cost of damages caused after a car accident will be costly without a dedicated insurance policy. Although third party, fire and theft insurance will cover fire damage, it will not cover any other kind of damage – if you crash into a driveway wall for example, the wall would be covered but your car would not. Also, if you crashed into another car, damage to their car would be covered but you would be expected to cover the cost of your own. You will need to have a fully comprehensive policy in order to have damage to your car repaired without cost, whether it is caused in an accident, or maliciously damaged by a vandal. Losing your car key is a stressful situation, particularly as technology has increased the complexity and cost of getting it replaced. What used to be as simple as a visit to the locksmith now requires a great deal of to-ing and fro-ing, while you remain unable to get into your vehicle. Smart key technology has meant that much of the car’s features are now controlled my microchips, which means organising a replacement yourself can leave your significantly out of pocket. 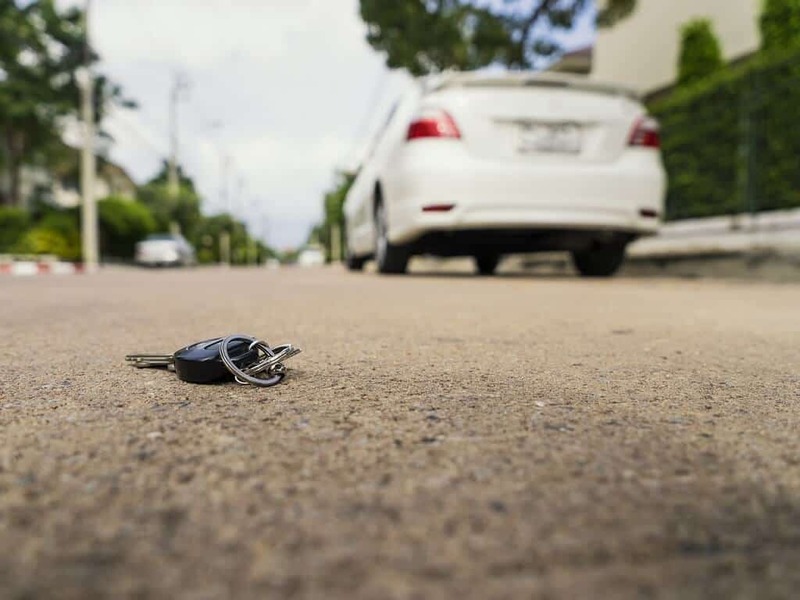 Fortunately, including car key insurance as part of your overall policy is the best way to keep costs down, and ensure a replacement is organised relatively quickly. If you are unlucky enough to have your car stolen, the headaches are numerous. From losing your mode of transport, to organising a new vehicle, to replacing any valuables, the problems do not just stop with the stolen vehicle. The process of making a claim if your car is stolen can be fairly straightforward, provided you have given all the correct information to your broker. If your car is found, and the damage is not extensive, it should be settled with relative ease. However, if your car has a great deal of damage, or is not found at all, then your insurer will pay out the market value of the vehicle. This may be significantly less than you paid for it due to the nature of depreciation. If your vehicle is an expensive, classic or imported car, you may be able to add agreed value cover to your policy. You can find out more about this in the next section. Having a full view of the road is integral for safe driving. If you get a chip or crack on your windscreen, it can quickly turn into a dangerous issue, which can both restrict your vision and cause you to be disobeying certain parts of the Road Traffic Act and Highway Code. Windscreen cover looks after the costs associated with the repair or replacement of windscreens and windows. You can purchase this as an optional extra to your third party only (TPO) or third party, fire and theft policies, or you could opt for a fully comprehensive policy. Whether you need a repair, or an entire windscreen replacement, depends on the size and location of the chip. Chips on the edge of the windscreen can be repaired if they are under 45mm in size, whereas chips on the area of glass directly in front of the driver are the most serious, and cannot exceed 10mm without being replaced. The excess you will need to pay towards a windscreen or glass claim will vary depending on the broker, and outright replacements will be more expensive than a repair. If you drive regularly, and perhaps in conditions that may increase the risks of chips, car windscreen cover may be a highly advisable addition to your policy.